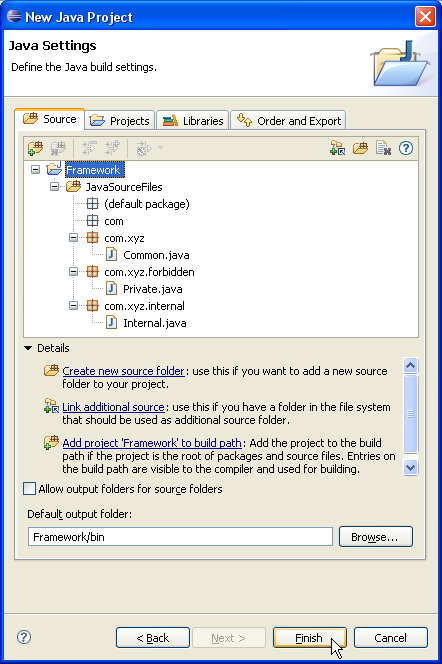 The Java source files for a product requires a source framework. 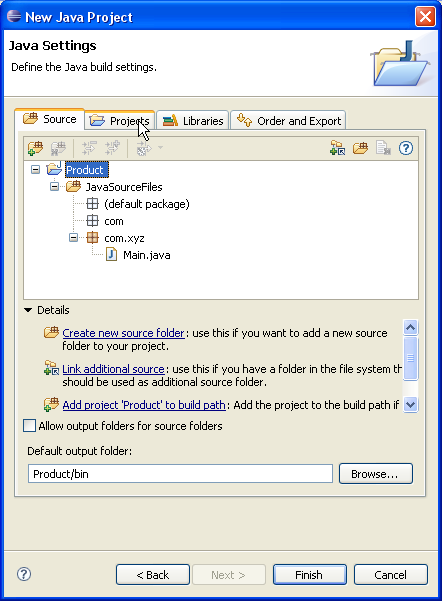 "Product" and "Framework" are in separate directories which have their own source and output folders. Type "Framework" in the Project name field. Click Browse... and choose the D:\Framework directory. 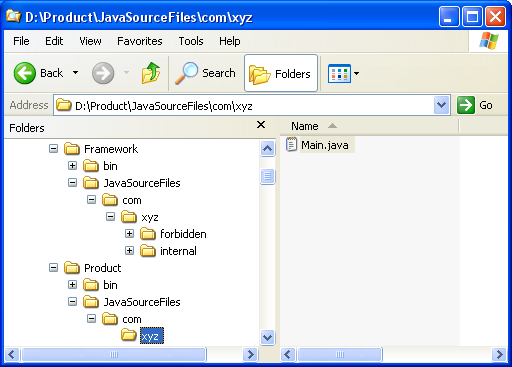 On the next page, verify that directory JavaSourceFiles has been automatically added as source folder. 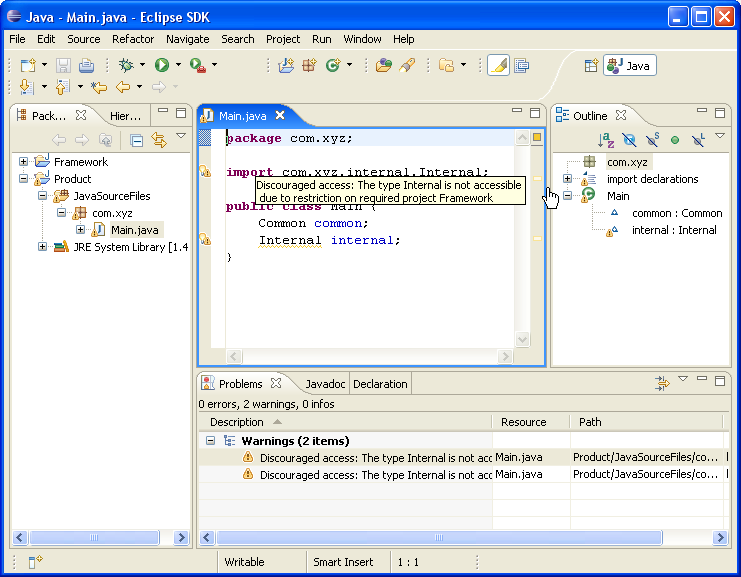 In Java perspective, type Ctrl+N to open New wizards dialog. 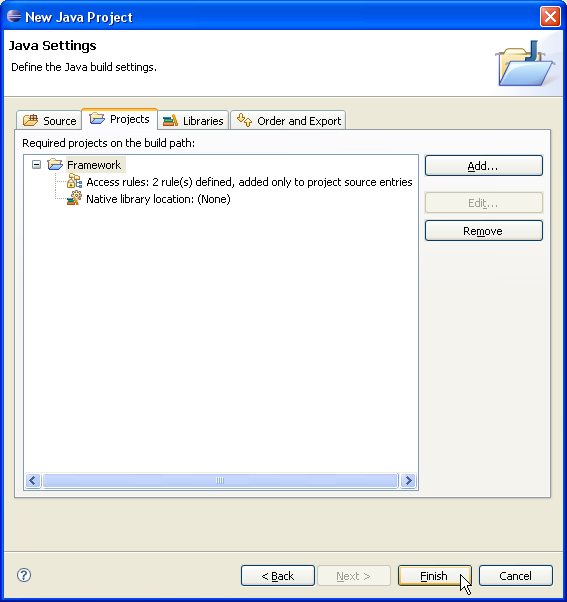 Select Java project in the list of wizards and click Next. 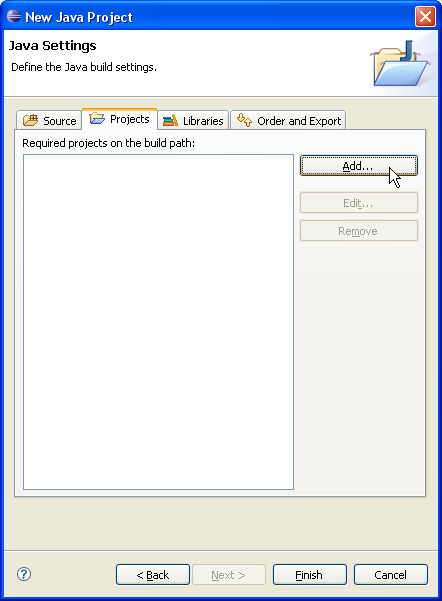 On the next page, type "Product" in the Project name field. Click Browse... and choose the D:\Product directory. 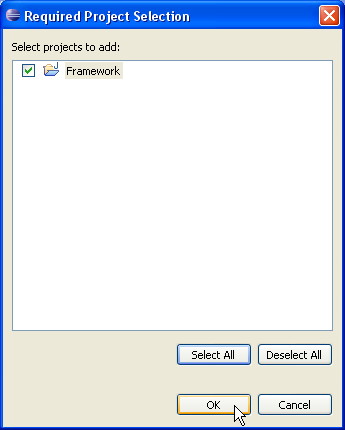 In Required Project Selection, check "Framework". Click OK to validate and close dialog. 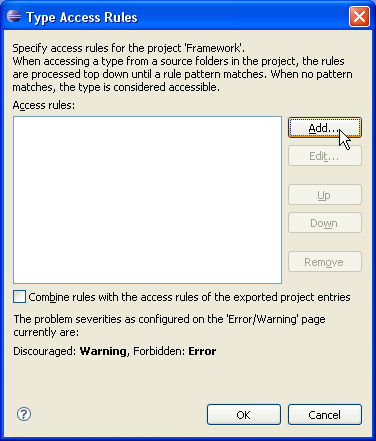 In Projects tab, select "Access rules" of "Framework" depending project. In Add Access Rule, select "Forbidden" for Resolution. 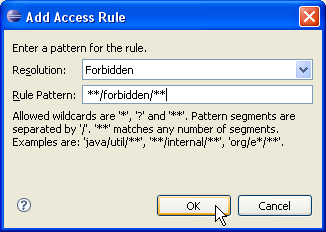 Type "**/forbidden/**" in Rule Pattern field. 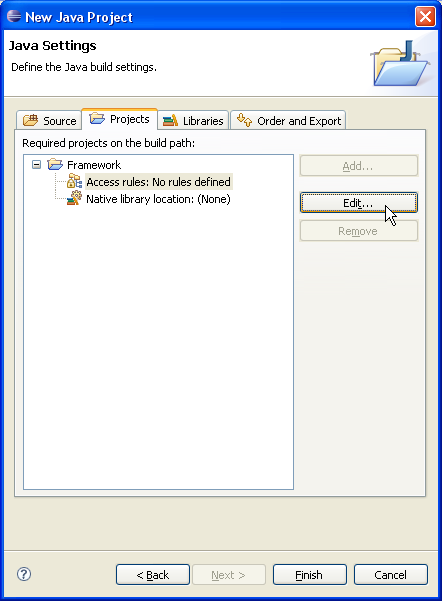 Click OK to validate access rule and close dialog. Resolution: "Discouraged" and Rule Pattern: "**/internal/**". Click OK to validate these new rules and close dialog. 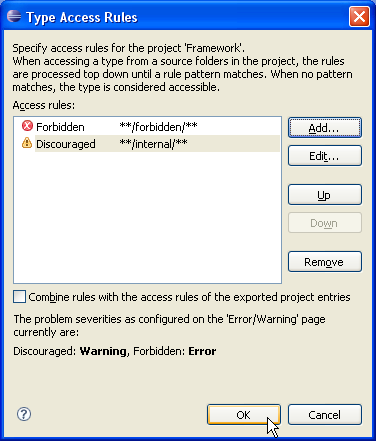 Dependent project has now 2 access rules set. 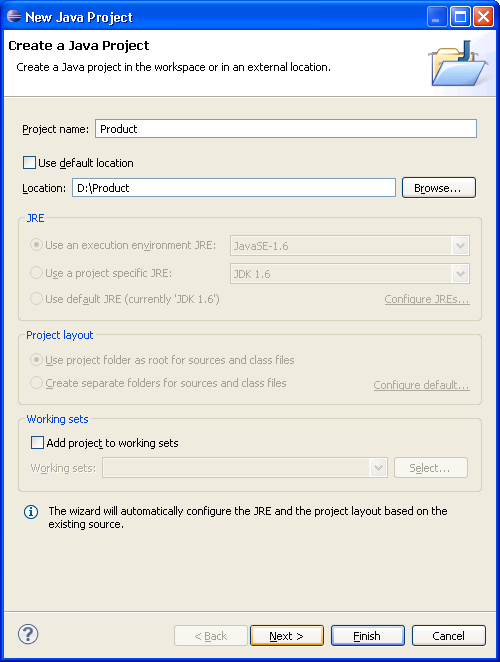 You now have a Java project which contains the source of "Product" and which is using the source of "Framework".